One of the main characters is a little 8 year old boy named Jacob Gilat. Him and his family are all Jewish and living in the Ghetto. 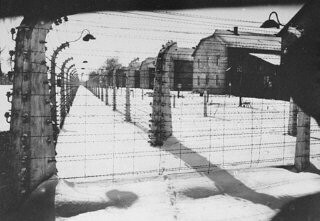 He has been forced to move into a Polish family in order to survive and has to live in hiding until the end of the war. Everyday is a struggle for him but he stays strong. 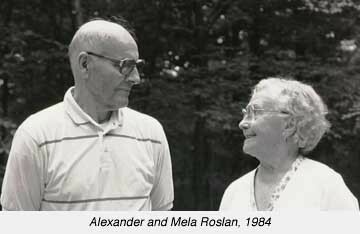 Alex is the husband of Mela Roslan and he is the definition of a hero. He attempts to save all three brothers but managed saving two. He is open minded and risking everything to save these Jew's lives. Mela, is a little uneasy but is warmhearted as well, willing to risk her family for David, Jacob and Sholom. She, is also a hero. 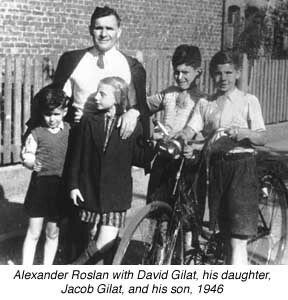 This holocaust story is about a loving couple, Alex and Mela Roslan and the 4 children they've raised. They are willing to risk not only their lives, but their two young children's lives, to save a young Jewish boy named Jacob Gilat who's life is trying to be taken by Nazi's in World War 2. In their small apartment in Warsaw, Poland, everyday is a struggle to hide Genyek. Genyek is the name that was given to Jacob to make him sound Polish. Alex and Mela are heroes to Jacob and his little brothers by raising them until the end of the war, and until they are safe. 1 Action: Mela and Alex took David into there small apartment to try to save him. The family keeps it a secret whenever a Nazi comes in and searches for any hiding Jews. Jacob would be in a hiding spot where the family showed him to go. 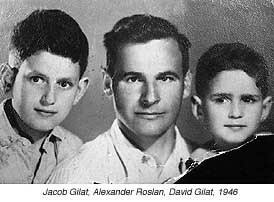 2 Action: Gale, the family friend giving the Polish couple the boys, now brings them a second brother, Sholom, because he was in rough living conditions. Risking even more, they kept two Jews. 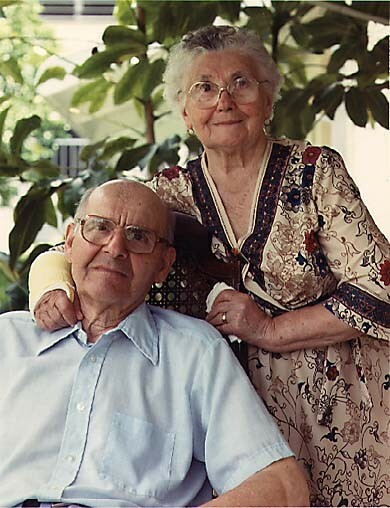 Their oldest son, Yurek was hospitalized and was willing to hide the rest of his medications in order for Mela to give them to Sholom to make him healthier. 3 Action: Alex and Mela take in the third brother David after Sholom passes away. Towards the end of the war, the family escapes to the outskirts of Poland in a small village for safety. There, the Russian soldiers go to the survivors doors and tell them the war is over and Alex and Mela reluctantly return the boys back to their father, after going to a hospital to recover, where they all continue to live on. "Tell everyone you meet- Poland still lives." I feel like this quote is very meaningful and powerful. It says a lot about how harsh the Germans were to these people and how willingly the Polish were with fighting back against Germany. When the end of the war came around in 1946, Poland did live on, and that says a lot about the survivors and the soldiers of the country. My reflection of this story is that it really opens your eyes. It really made me think about how grateful I am. Some people may have it bad, but they also need to think others had it ten times worse during this World War. This whole war was completely unfair and so cruel I don't know how the Germans got away with it for three years. This book and all of the other Holocausts stories are very important and should be shared world wide to teach people the history and give all 6 million Jews who died more recognition.